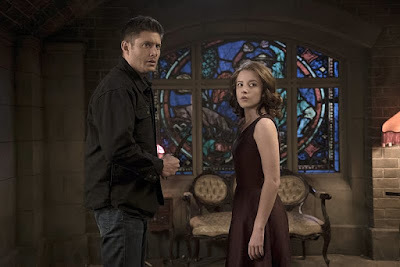 Supernatural 11x06 "Our Little World"
I know, I know. This recap is super late. I had a work screening last night that went super late and didn't have time to watch the show, let alone write my review of it. But here we are, ready to go now. So how was this episode? In a word...GAHHG. Sam and Dean want Castiel to re-join their cause, trying to help either find Amara or Metatron, or something. But he's back at the bunker watching TV until all hours. That is, until he happens to see none other than Metatron on that very TV, having filmed a soulless altercation. He tracks him down, and they have a verbal tete-a-tete that turns into Castiel punching him a whole lot, trying to get him to talk about what he knows about the Darkness. Meanwhile, the brothers find out that Len from last week's episode was killed while he was in jail. Apparently, Crowley is sending his demons around to kill all of the people that Amara has left without souls so they can't go bringing attention to her presence. The boys track down one of these demons and figure out from his phone records where Crowley may be hiding out - and abandoned asylum. Crowley, for his part, is trying to get Amara to slow down her growth spurt so he can impart his "wisdom" upon her before she gets so powerful that she doesn't need him anymore. They seem to come to something of an agreement on the subject, but it turns out to be rather short-lived. That's because Sam and Dean make their way on over to the asylum to find Amara and... kill her? It's a pretty stupid plan, which Sam points out, but nonetheless they go. While Sam fights off the demon guards, Dean makes it into Amara's room. When Crowley shows up as well, finally ready to get over his aversion to killing Dean, Amara is having none of that. She throws Crowley up against the wall and tells him she doesn't need him anymore, and that he's not to hurt Dean. With no other options, Crowley agrees and skedaddles, leaving Dean alone with Amara. She crows on about how he can't kill her, and she can't kill him, because there's some kind of fascination or some such between them. Blah blah. 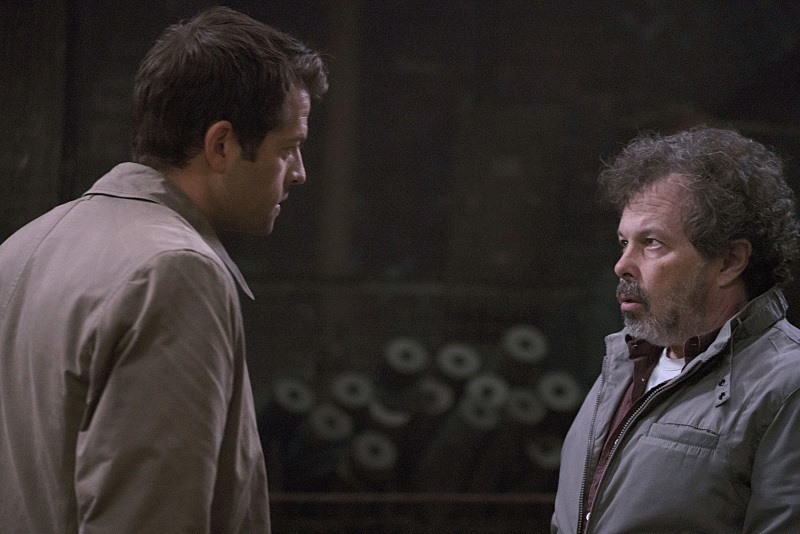 Back at the punching fest, Castiel finally gets Metatron to give him some intel on the Darkness. It turns out that she is none other than GAHHG's sister. Dun dun dun. More twisted family dynamics! He lets the human Metatron go, and Dean and Sam get thrown into a couple walls by Amara before she saunters off to take in the world her brother has made. Sam also has a vision of the cage in Hell, with some fingers poking through the its containment. Whose fingers? We shall find out, I suppose. 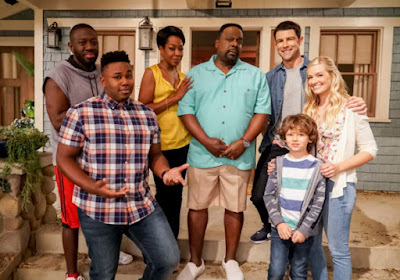 - Honestly, this episode was boring. All of the cutting back and forth between the fights felt like it was just a tactic to make the episode seem longer. And that last little scene after the final commercial was also really short and... okay? Sure, it's a nice song, but whatever, it was an odd ending. - When Crowley was telling Amara to slow down I wanted to be like "No, you're already going too dang slow!" Sigh. - Are Sam's visions actual visions, or moreso memories of his time in the box? And is Adam down in there too? Are those actually his fingers we're seeing? Would Lucifer have a form down in the box if he had originally been in Sam's body, but now Sam is no longer there? So many questions. Castiel (watching daytime TV): Jenny, he's not ready to be a father. Sam: Where'd you ditch the body? Dean: This POI, what's that? Sam: Uh, Point of Interest. Dean: I know what it...what is it? Metatron: What century are you in? Religion is dead. The novel, deader. Metatron: You have gone full wuss.